Industrial Oil Use - ! Equipment for Transformer Oil Reclamation. GlobeCore. The area of application of industrial oil is rather self explanatory, given the name. This oil is used in the industry and in households for lubrication of various components. Modern industrial oils also contain many additives, such as antioxidants, thickeners and anti corrosion agents. The range of industrial oil products is increasing all the time. Industrial oils are classified by many parameters, from viscosity to intended area of application. Clock, instrument, turbine, refrigeration and hydraulic oils are all considered industrial oil. In the industry, such oils are used in hydraulic systems of metal cutters, in automated production lines, in presses, for lubrication of gears, slideway bearings etc, which do not require special lubrication materials. 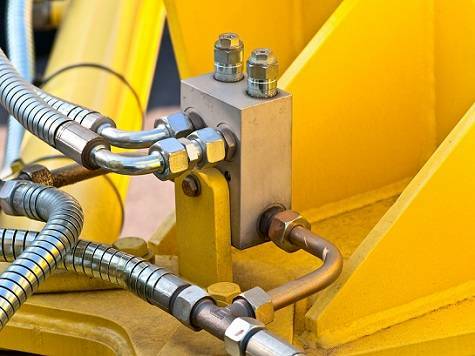 One of the most common area of industrial oil use are various industrial hydraulic systems and lubrication of construction equipment, including machines that work outdoors. A key parameter of any industrial oil is its viscosity. The higher the viscosity, the higher load is possible for the equipment where the oil is used. Various machines with hydraulic drives are increasingly common in the industry. Higher stability of such systems makes it possible to apply more load and increase power. However, this also increases the demands to the hydraulic systems and the oil. Oil used in heavy duty systems should be improved with many additives with anti corrosion, antioxidation and antiwear properties. Oils used in systems with lower loads do not require many additives, if any. Some industrial oils are produced for operation without additives at all. Their natural properties are enough to satisfy the demands of the equipment. Such oils operate well in industrial hydraulic systems, in construction machinery etc. These oils can withstand the loads and retain their properties longer without any additives due to their natural properties.